The .NET Framework doesn’t correctly determine the ISO 8601 compliant number of a week within a year, as outlined in http://support.microsoft.com/kb/200299. This is a problem when working within the EU especially, as most countries here use ISO 8601 week numbers. Although there are a lot of code samples to be found on e.g. Stack Overflow solving the problem, I found most of them to involve too many magic numbers to be acceptable for production code. 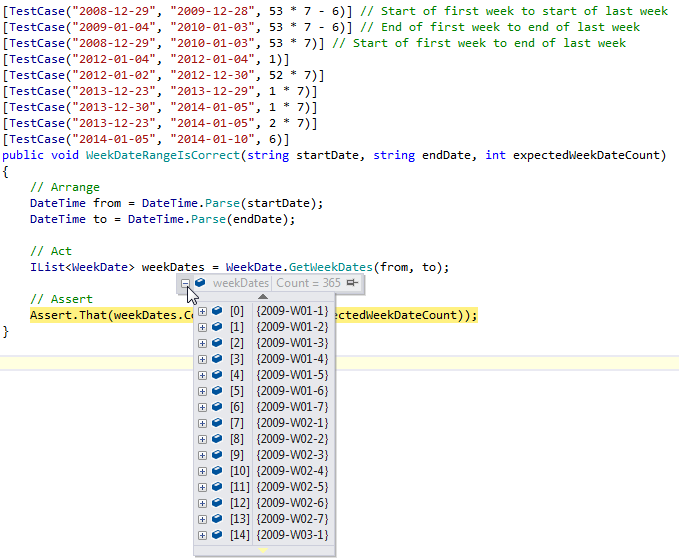 The following functionality was inspired by the concept of week dates and is comprised of a Week and WeekDate class. Source code and tests can also be found on GitHub. /// Returns a sortable ISO week string (e.g. "2009-W53"). /// Returns a sortable ISO week date string (e.g. "2009-W53-2"). 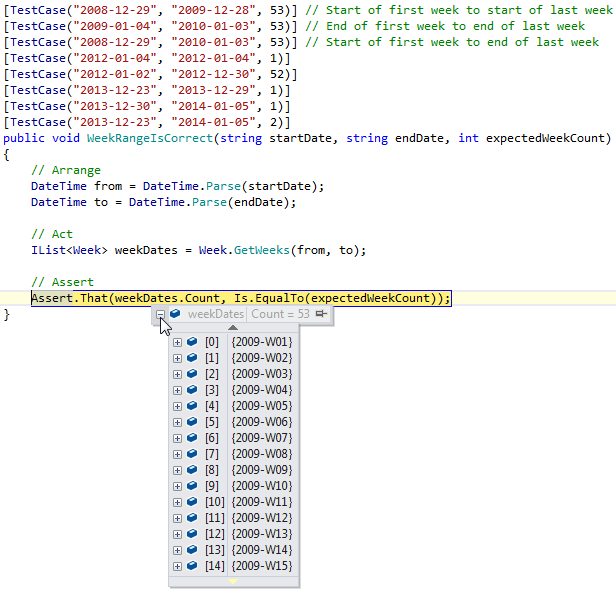 This entry was posted in C# and tagged ISO 8601, week numbers. Bookmark the permalink.